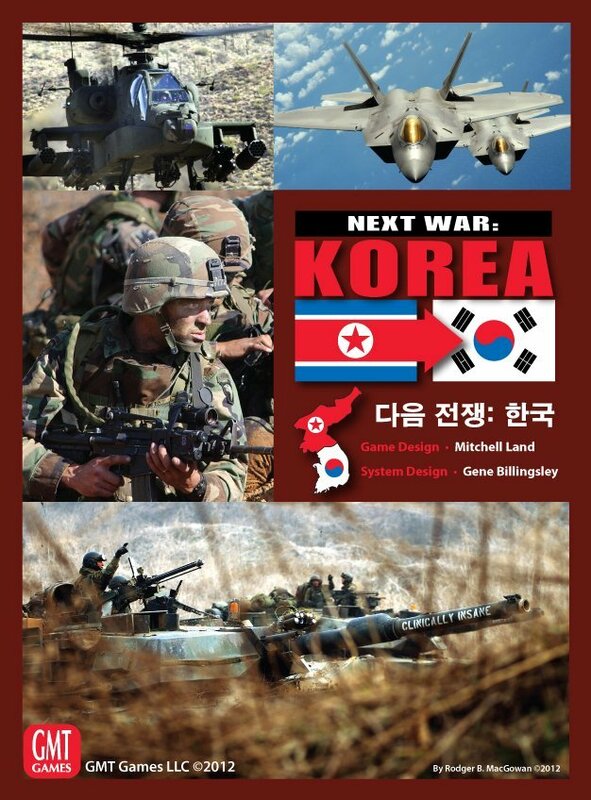 GMT's Next War: Korea is part of the ongoing "Next War" series designed by Gene Billingsley and Mitchell Land. The series is based on potential conflicts in the world today. The first release in the series, Next War: Korea, was successful enough to keep the series going with the 2014 publication of Next War: Taiwan.. I can see why. Well, looking back at 2014 (over 60 articles), it seems that this blog saw a lot more action than 2013 (36 articles all told). It probably had something to do with finally being finished with a degree and having more free time this year but I would also say that I got a bit deeper with my gaming experiences too. Up until this year, I'd kept the gaming scale down to short (a few hours of play time) platoon/company level (Lock 'n Load, World at War, etc.) games with brief forays into brigade-level (Dawn's Early Light) affairs. With my purchase of Victory Games' The Korean War in early summer, that all changed for me. In 1981, Avalon Hill released the beloved B-17: Queen of the Skies, a solitaire game that put players in the shoes of a B-17 bomber crew trying to fight its way through the war just one mission at a time. The player would go through each mission, rolling dice and checking tables as his crew made it from England to occupied Europe and back on a bombing run. Although B-17 was short on strategy and long on random results, the experience of watching your crew grow in skill and experience over the course of a campaign made the game somehow more than the sum of its parts. Many people grew to love the game and it's still played and remembered fondly even today. Well, it's been a long while since I've done a video so I decided to get the camera out again. 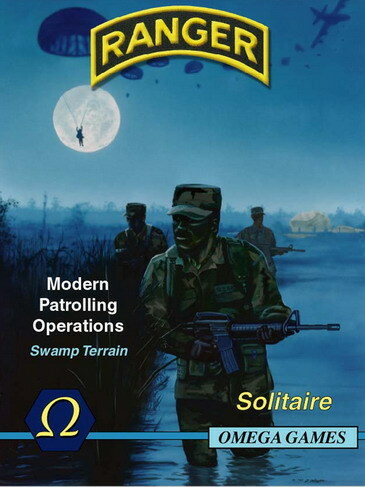 Not sure of what to play after my affair with Victory Games' Vietnam, I went with something simple that I could play in an evening. Omega Games' Ranger seemed to fit the bill. It's pretty straightforward and I haven't played nearly enough of it since I got it almost two years ago.